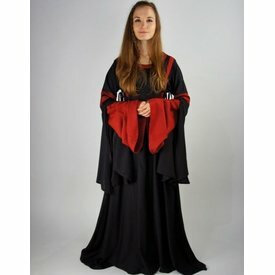 Already since the beginning of history, the cloak was one of the easiest garments to make and as a result it was worn by all classes in society for centuries. It was a practical garments for daily challenges: it was warm, protected (more expensive) garments against dirt and travellers even used their cloak to sleep in. 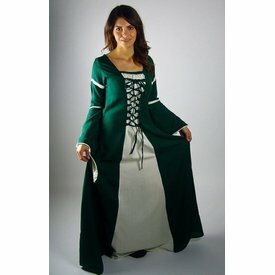 This cloak is suitable for (early) medieval outfits and has a long hood. The cloak can be fastened with a strong cord.